Mercedes-Benz vehicles are engineered to exacting standards in order to set the benchmark for what it means to drive a luxury vehicle. Manufacturers from across the globe have worked tirelessly to emulate the sophisticated style, meticulous craftsmanship, and proven performance found on every Mercedes-Benz model. 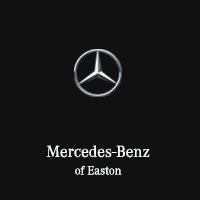 If you’ve found yourself torn between a rival brand and the Mercedes-Benz of your dreams, Mercedes-Benz of Easton wants to help you make an informed decision. We’ve assembled these in-depth comparisons in which Mercedes-Benz faces off against its top rivals. Once you see the results, you’ll understand why those in the market for a new luxury vehicle continue to select Mercedes-Benz. Among luxury buyers, two of the largest rivals in the segment are Mercedes-Benz and Lexus. With each offering a comprehensive lineup of sedans, coupes, SUVs, and hybrid variants — deciding between these two familiar foes can seem difficult at first. When considering purchasing a luxury vehicle, two of the most familiar brands in the industry are Mercedes-Benz and Audi. Since both brands field a comprehensive lineup of premium sedans, SUVs, performance vehicles, and hybrid variants — it’s very common for prospective buyers to differentiate the two at first. Defined by their unmistakable combination of innovation, responsiveness, and elegance — Mercedes-Benz sedans are engineered to exceptionally high standards. Mercedes-Benz sedans feature potent powertrains, groundbreaking safety systems, and meticulous craftsmanship to set the benchmark for a luxury sedan. Artfully combining the capability of an off-road vehicle with the precision handling of a sedan, Mercedes-Benz SUVs deliver exceptional safety, luxurious comfort, and legendary craftsmanship. At home in the city, capable when you’re far away from home, and a perfect fit for your active lifestyle — there’s a Mercedes-Benz SUV to suit every type of driver.